In November 1978, News Photographer Bill Dyviniak grabbed his camera to take a few shots in the area we now call the Buffalo Niagara Medical Campus. 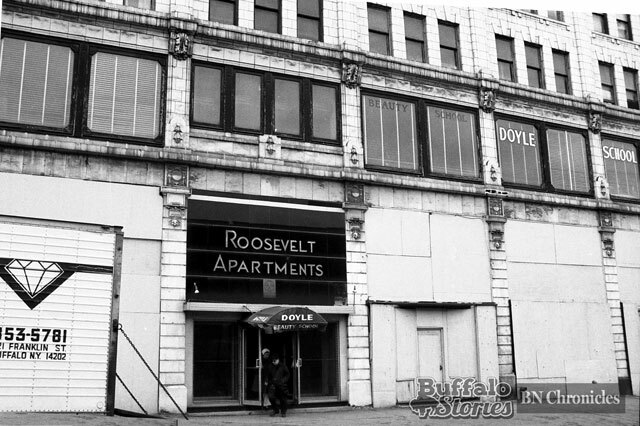 Then, it was the cold and abandoned neighborhood bounded by Buffalo General Hospital and Roswell Park Cancer Institute to the north, and the still-buzzing M. Wile and Trico factories and Courier-Express presses to the south. 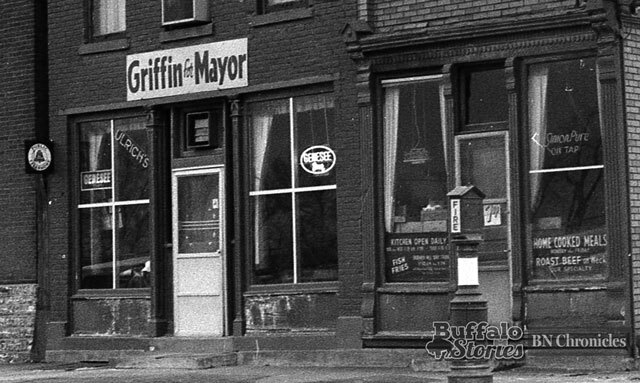 Photographs of three separate “landmarks” were in that folder — and despite all the construction around that area over the last 40 years, from the MetroRail station at Allen Street to the ever-growing Buffalo Niagara Medical Campus, all three buildings still stand to this day. 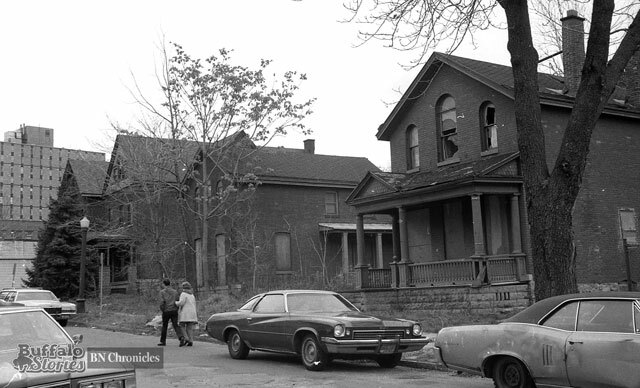 The 19th-century Italianate houses on Washington Street are currently a part of the BNMC’s Green Commons project. 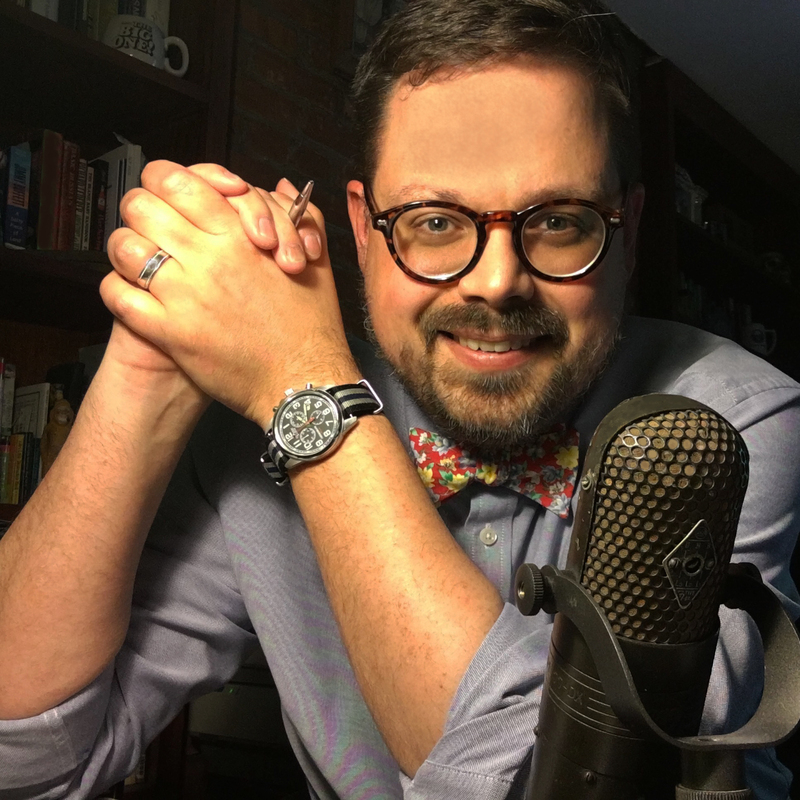 They were saved from the wrecker’s ball in the late 70’s through the work of preservationists like Austin Fox working with the city and surrounding community. 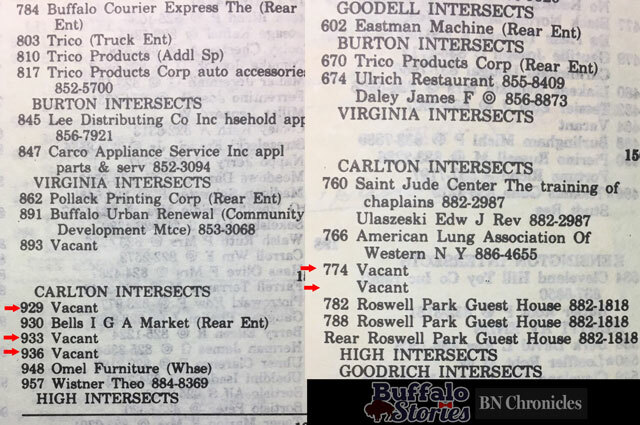 The 1977 city directory shows all of the single family dwellings remaining on Washington and Ellicott Streets– both now in the footprint of The Buffalo Niagara Medical Campus– as vacant or as lodging operated by Roswell Park. The area that was as recently as the 1950s a thriving residential area had quickly become nearly all industrial and offices. Just west of those houses, stands the Roosevelt Apartments. 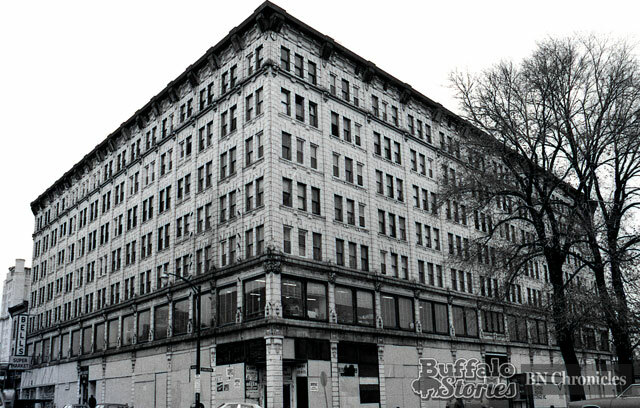 The exterior has been rehabilitated and the Bells Market has long since closed. 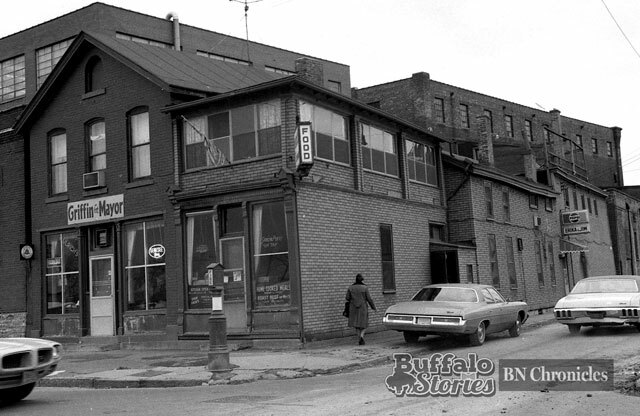 A few blocks away at Ellicott and Virginia survives Ulrich’s, Buffalo’s oldest continuously operated tavern.